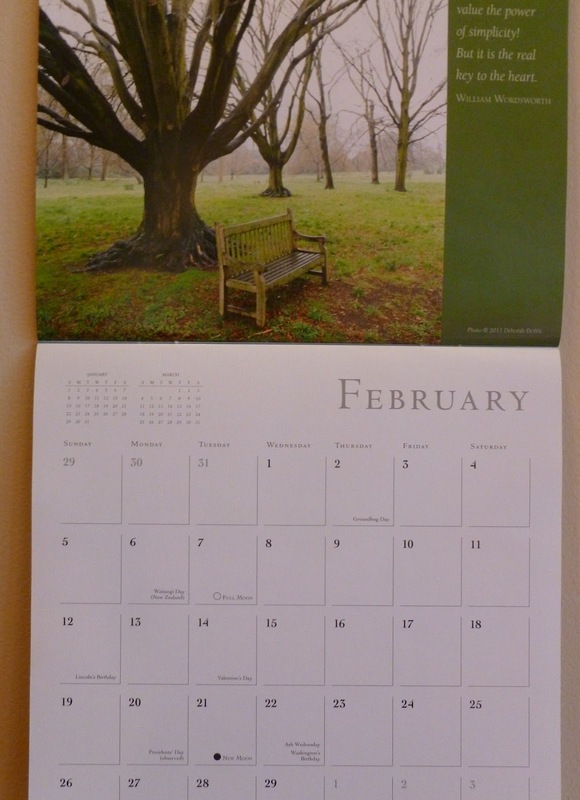 Back in December, I wrote about my new 2012 calendar and its inspirations for a simpler life. Two months in, I continue to look to it for strength to not overfill the days. Recently, support came from another source— No Ordinary Time by Jan Phillips. Subtitled “A Book of Hours for a Prophetic Age,” Jan draws on the Middle Ages practice of staying spiritually mindful all throughout the day. Each chapter is devoted to a day of the week, and a reading for Wednesday spoke to me. It’s Jan’s “To Be List,” in the form of a poem. In honor of having an extra day on the calendar this year, today I’m going to focus on my To Be List, rather than the To Do List.